Microsoft recently announced a new build version of Windows 10 for Insider members. In addition, the company announced that it is launching something called Windows Defender Application Guard for Chrome or Firefox. This is a preliminary Insider exclusive browser extension that alerts you if you visit a site that is not safe. 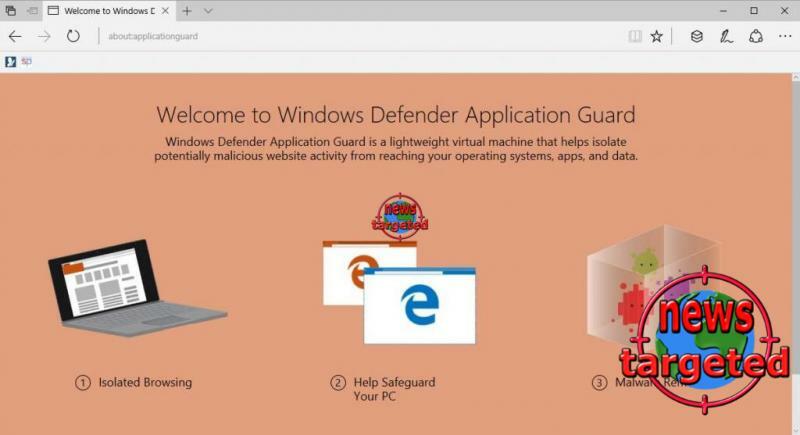 If the Defender feature detects that you are heading to a malicious site, you will automatically be redirected to Windows Defender Application Guard in Microsoft Edge. There you will be able to safely visit websites that have not necessarily gone through Microsoft's security check. Is this just an attempt to get users to spend more time in the Edge? At least it's a side effect Microsoft can take advantage of. If the function becomes useful, it remains to be seen. Currently, only Insider members have access to the extensions, but all users will eventually have access to the functionality.